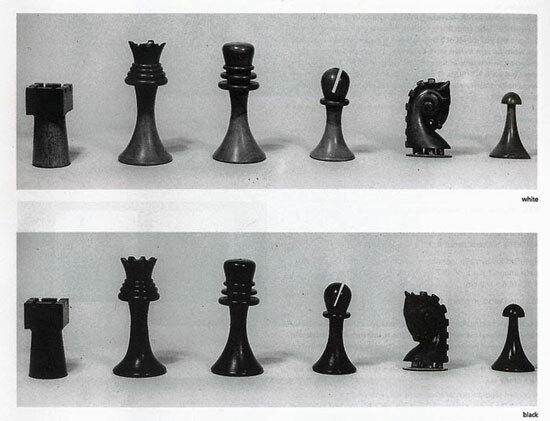 Recently my pal Bryan Cera posted about resurrecting Marcel Duchamp’s hand-carved chess set, which is a project he’s working on with Scott Kildall. Bryan shot me an email and asked if I’d be interested in printing a set as well. To be honest, most of the stuff I print on my RepRap is meant to be functional parts, and they typically don’t turn out pretty, but hey, I’m an art lover, and I like collaborative projects. 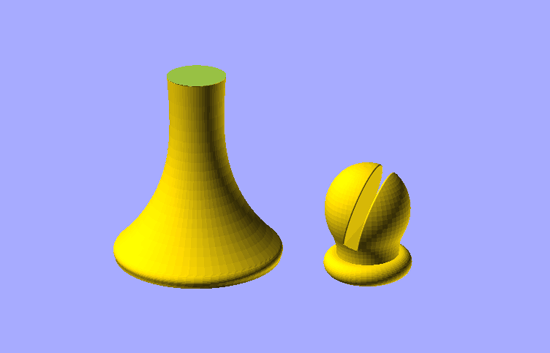 Bryan mentioned that the set should be printable even on a “homebrew” 3D printer, but personally, I hate printing with support, so I try to not use it. 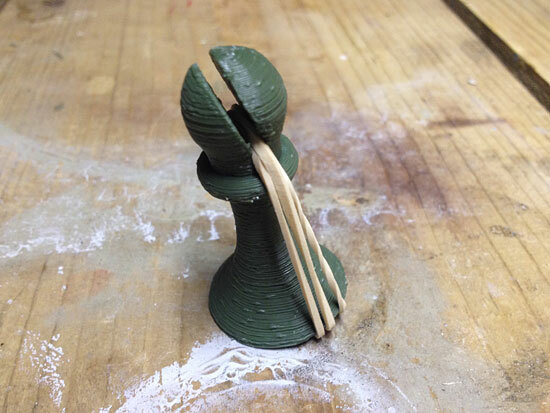 I took the pawn and split it in half and then printed it and glued it together with a bit of Acetone. 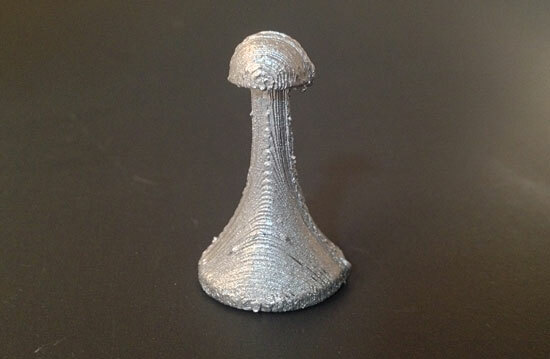 Oh, I also painted the pawn with metallic silver paint. 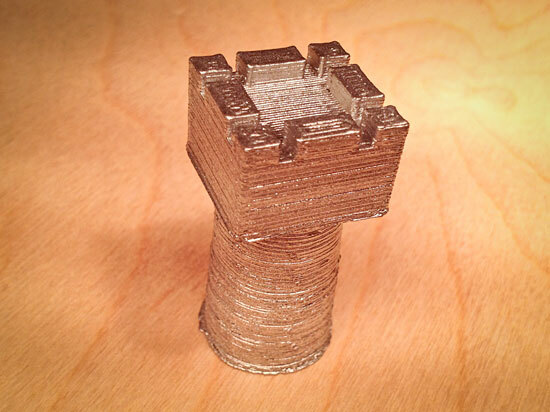 You can see that this is not a super-high quality print, but I’m OK with that. I sort of like the way the lines appear on this piece. 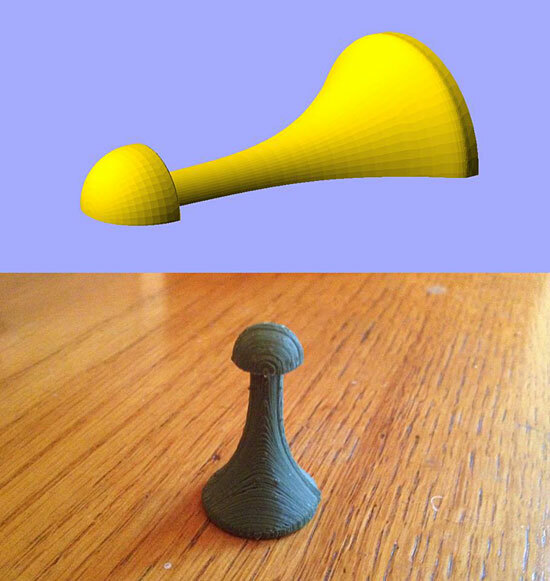 I also printed the rook. I split this one by removing the top for printing and then reattaching it. It’s been a fun project so far, and the only reason I’ve not finished the entire set is that I’ve been traveling for work the last few weeks. Once I’ve got all the pieces, I’ll capture some nice images of the set. And yes, the knight is going to be a fun challenge! Posted on Tuesday, May 6th, 2014 at 10:49 am. Subscribe to the comments feed. Both comments and pings are currently closed. Post on your own blog. Just noticed that the Bryan and Scott’s posts don’t exist anymore. And also, the files that were posted on Thingiverse have been deleted. Any reason for this? Is it still possible to get the files? Hmmm. I’m not sure. I’ll check on it.